In our previous blog, we started going over some common issues that businesses that are looking for smaller spaces or short-term leases come across. If you are a startup or small business looking for commercial real estate, Rare Space may be able to help. Whether you are looking for a month-to-month lease or a space smaller than 1,000 square feet, it is pertinent to hire tenant representation to ensure that you can get the best deal for your business. Alternatively, if you are looking for an unconventional, short-term solution to your problem, read on for some ideas. Pop-ups are a new trend in retail, in which a business sets up (or “pops up”) shop in a retail space for a short period of time. Halloween and Christmas stores are an excellent example of pop-ups. However, many retail businesses have taken this model for their own, from fashion boutiques to art exhibits to cupcake shops to online stores seeking a temporary brick-and-mortar location. Pop-ups present a great opportunity to explore your market or release a new product, and can be a great option for a small retail business that needs flexibility. Pop-ups are very flexible; some leases last only one day, and can be as long as a year. Additionally, rental rates are much lower for pop-ups than traditional commercial real estate leases. Pop-ups are also beneficial to landlords, because if they aren’t renting out the property to a full-time business, it’s a good way to easily rent it out. This is especially beneficial if the landlord owns a business with some available space for a pop up, because the additional foot traffic helps promote their own business. For businesses that are office-bound, executive suites are their pop up equivalent. These spaces are generally fully equipped with office essentials, can be customized, and include very flexible terms. They generally share a common space with other businesses, and come with IT support, receptionists, and office managers. Executive suites offer incredible flexibility. The lease can last a week to over a year, depending on your needs. Rent is one flat fee, and you can almost always immediately occupy this space. However, there are some disadvantages to executive suites. For the flexibility, you will pay much more than you would in a traditional office space because there are many more services. Additionally, you will have to share the space with other tenants, so conflict could arise. Finally, subleasing is an option for more flexible lease. For subleases, you could take over the lease of the sub-lessor, but you could also be sharing a space with them. There are many advantages to subleases, but there are also disadvantages. In the pro column, subleasing is generally much cheaper than renting a space. Rent is usually a flat fee without the added expenses of regular leases. Additionally, if you are looking for a small space, there are usually plenty of options when it comes to subleasing. You can often enjoy the amenities of the office and the shared spaces, and you may even be able to share equipment such as printers and copy machines. If you are a business that is looking for a long-term space, but has an immediate short-term need, sub-lessees often get first preference when the lease is up if the original tenant is vacating. However, there are cons to subleasing. First, you are at the mercy of the sub-lessor; if they should default on the lease, you could be left incurring costs and damages. Additionally, you are subject to the terms of the original lease, so you must be well-informed about that lease to avoid penalties. Finally, any issues you have with the space involves talking to the sub-lessor, who then talks to the management, which could cause delays. If you are looking for a short-term solution, the options listed above may help. If not, contact Rare Space. 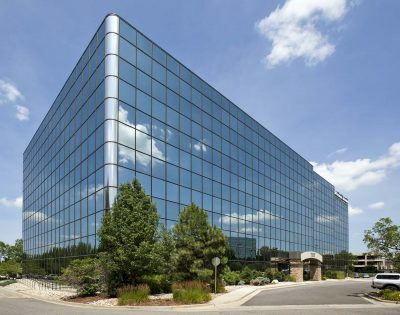 We can help you find commercial real estate in Denver or Northern Colorado that suits your needs. Contact us today.